TDW South Plains supports all levels of the Democratic Party, from the County Executive Committee to the Democratic National Committee. Through our state organization we are proud to be an affiliate of the National Federation of Democratic Women. 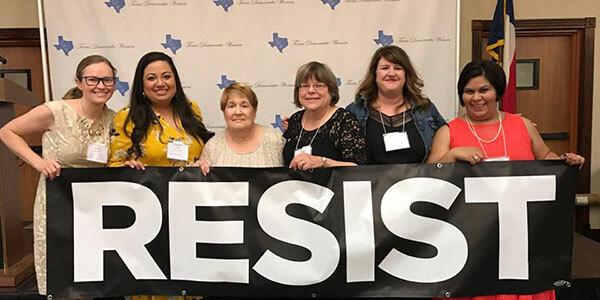 Our goal is to unite Democratic women and our supporters in this 16-county area of West Texas as a force to be reckoned with in political campaigns and when important decisions about our future are taking place here, in Austin, and in Washington DC. If you have ever needed inspiration to get motivated to vote, here it is – remembering the struggle to achieve suffrage. We also recommend watching the HBO movie Iron Jawed Angels on YouTube.